The size of this fin is 2 inch. This fin is good be used for beginner, light wind riding and wave riding. 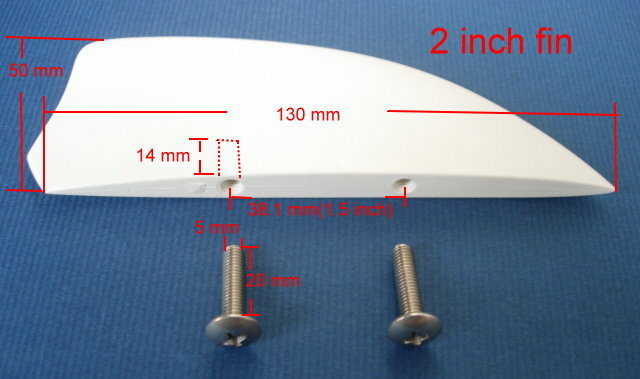 The price of one fin is about USD 8.3 include 2 screws. 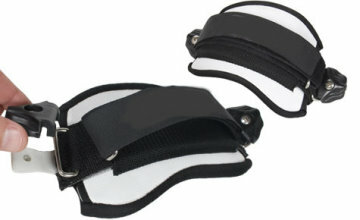 We provide white, black, orange, green, transparent color fins to be chose to match with your kiteboard. Please tell us what ordering quantity and what fin's color do you need via bellow chioce bar.